Hardware alone doesn’t make a smartphone ‘smart’. Apps, essentially small bits of software, harness the power of our smartphones and bring specs like the screen, camera, GPS and graphics to life. If you’re an Android user, you have access to one of the largest app ecosystems, covering almost every category imaginable. Many go unnoticed, and some become more popular than others. But there are a few apps… just a few, which do more than stand out. If used to their full potential, these are the apps that might just change your life for the better if you’re an Android user. What’s more, most of them are absolutely free! We use our smartphone keyboards for more than just texting. Writing emails, updating social networks and making notes take up considerable finger-tapping time, which is why it’s important that our typing experience is as glitch-free as possible. 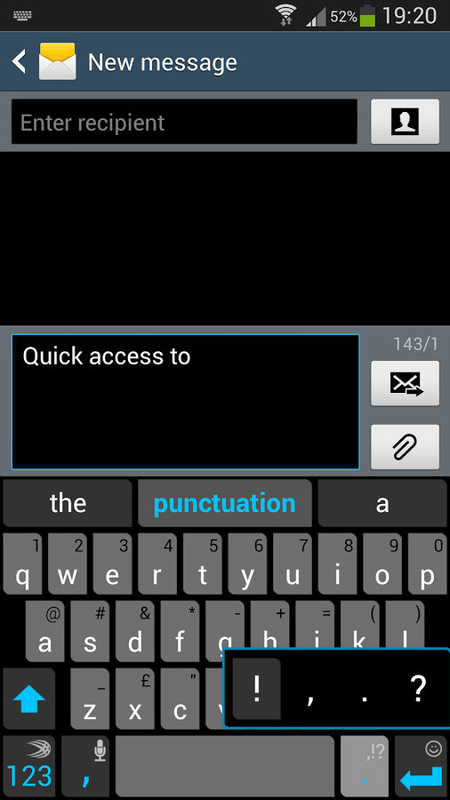 Enter SwiftKey, the mother of all Android keyboards. Its eerily accurate word-prediction technology does more than predict the word you’re currently typing – it can predict the next word (and the next after that) too. Thanks to its integration with Facebook, Twitter, Gmail and other third-party apps, it’s able to get a comprehensive view of your writing style, and becomes more precise the longer you use it. Plus, with its cloud backup and sync function, your personal profile becomes available on all your existing devices, and any new ones too. That’s a lot of functionality for its asking price of Rs 90. 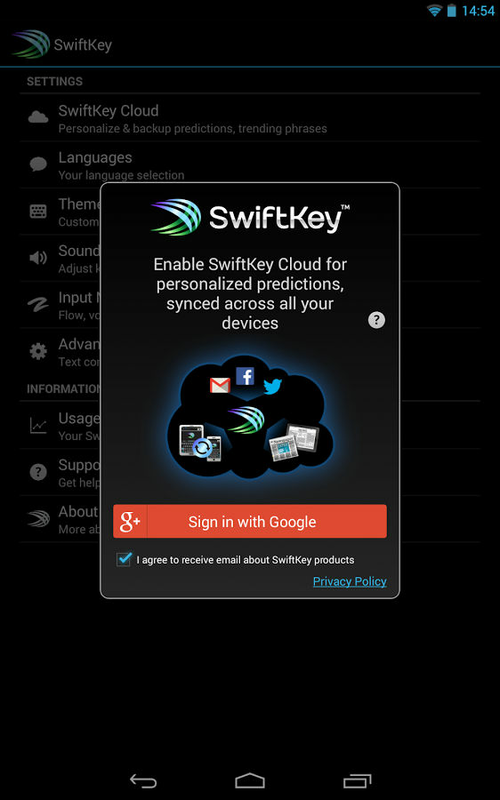 Cloud storage apps are more than just virtual gigabytes. While there are plenty of cloud services on offer, like Google Drive, Box, Mega and Sugar Sync, Dropbox remains a favourite among users, mostly thanks to it’s no-fuss interface. 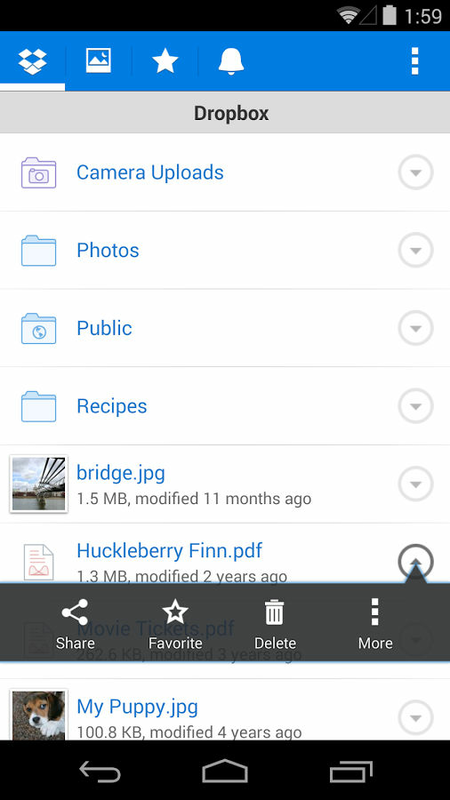 If you’ve got the Dropbox app on your Android phone, you can easily access any of your files stored in the cloud, edit files within the app and share them with a click. Thanks to its SSL encryption and passcode protection, Dropbox is great for storing important documents, and any other files you might require at a moment’s notice. 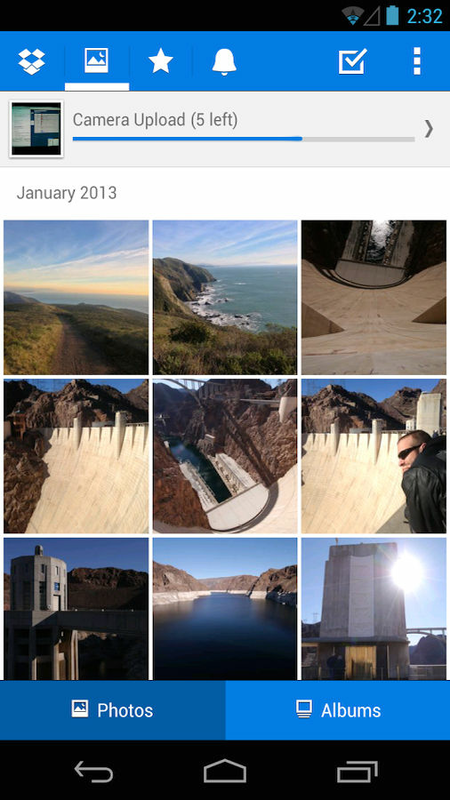 Plus, it has a nifty Camera Upload feature (think Photostream for iOS), which creates a backup of all the photos and videos stored your smartphone. Here’s a real-life scenario. You’re driving home late at night, take a wrong turn and end up in the middle of nowhere. What would you rather do? 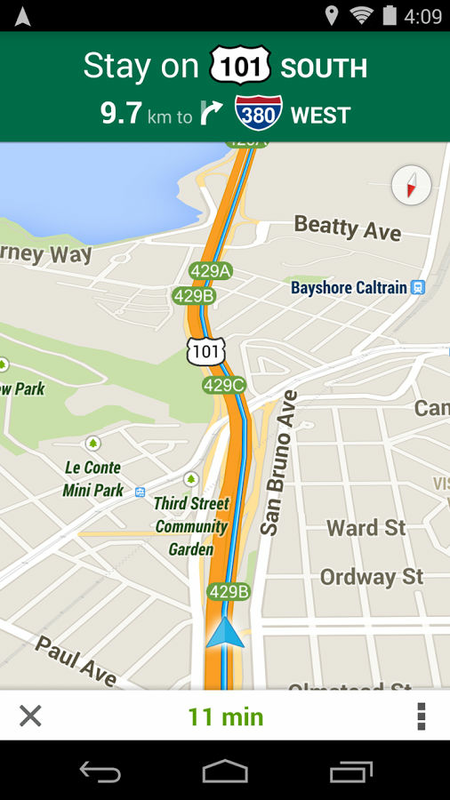 Ask a creepy stranger for directions, or check Google Maps on your smartphone? At a time when so many of us are moving to new cities for jobs, unfamiliar roads and landmarks can take a while to get used to. 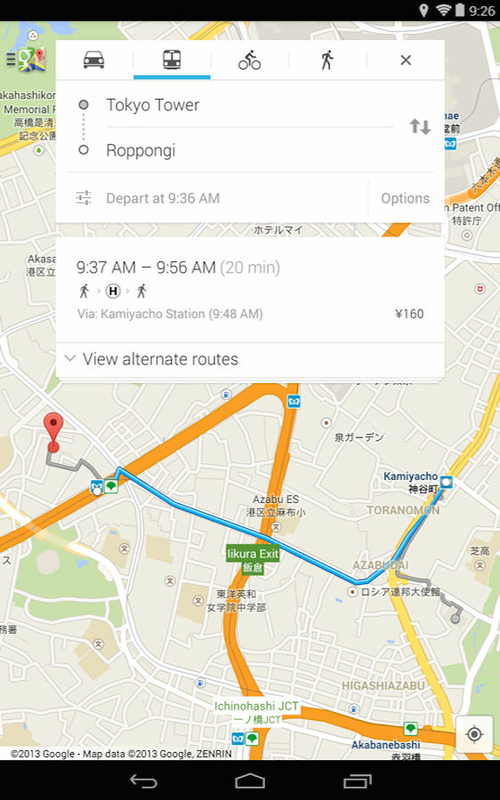 That’s where Google Maps becomes a real lifesaver. Always accessible on our smartphones, its route suggestions, voice-guided turn-by-turn navigation and even indoor maps for malls ensure you’ll never be lost again. Bombarded with calls about home loans, credit cards and mutual funds? 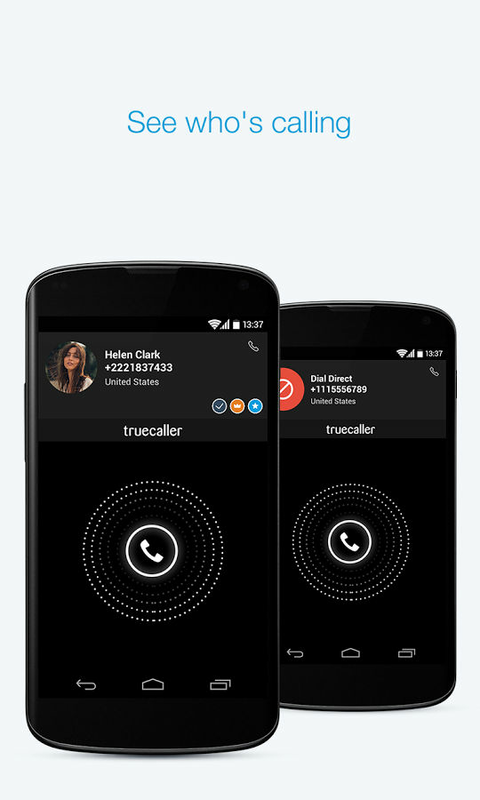 You might want to check out Truecaller. The crowd-sourced caller ID app has a large database of verified mobile phone and landline numbers, and can display the name and location of a person not listed in your phone book. It also has an extensive crowd-sourced spam directory, letting you block all the numbers on that list, and any you want to manually enter too. 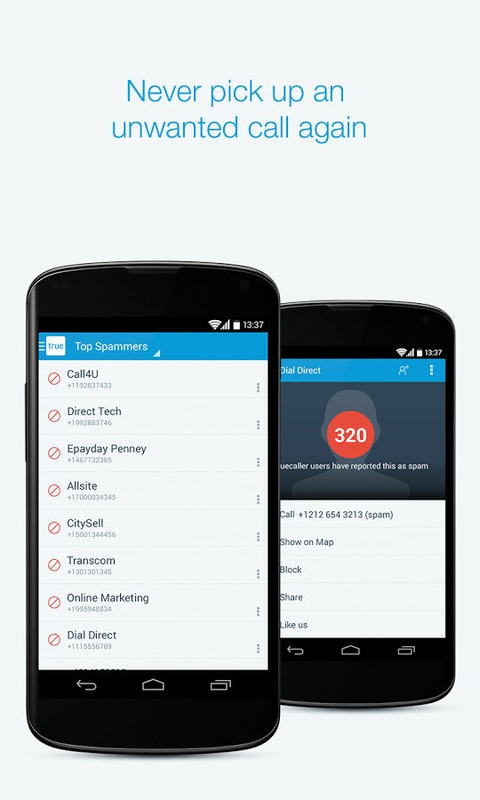 Truecaller also has a reverse lookup feature, so you can enter a phone number and see who it belongs to. The app can connect to Facebook, Twitter, Google+ and LinkedIn, letting you create a social phonebook and look up friends’ phone numbers too. We come across so many interesting articles and websites on the internet, but we don’t always have the time to read them. Enter Pocket. It lets you save links to articles, web pages, videos and more from your browser or other apps, letting you access them in a neat, simple interface at your leisure. 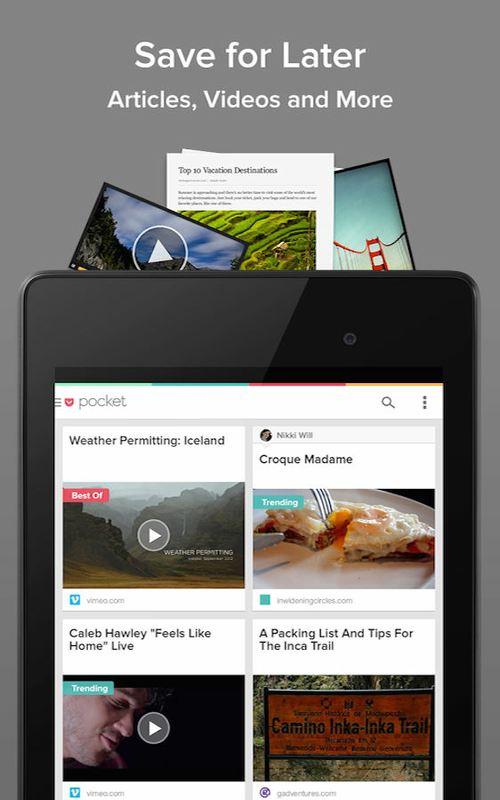 Every article you add to Pocket automatically gets saved in a reading-friendly layout, and can even be accessed when you’re offline. 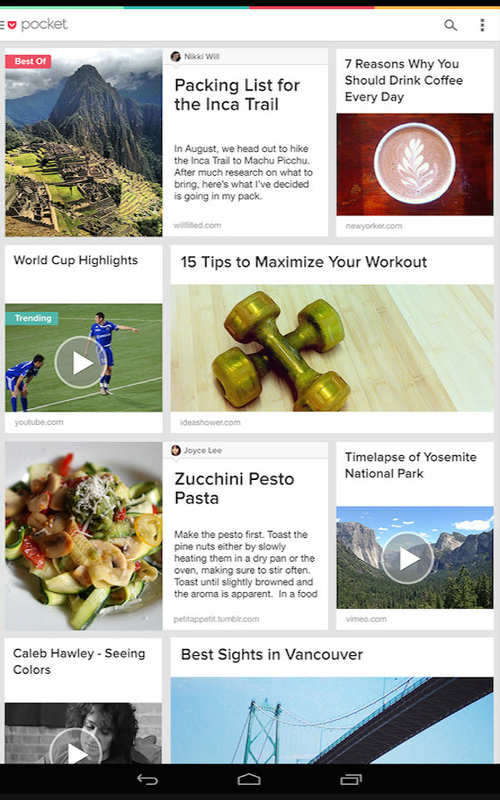 Pocket also lets you categorise saved links by tags and favourites, and syncs your account across devices. If there’s an article you like, you can share it through Facebook, Twitter, Evernote or email, or even to a friend’s Pocket account. Managing multiple devices can be difficult, and the sound of a constantly buzzing smartphone can be distracting, to say the least. 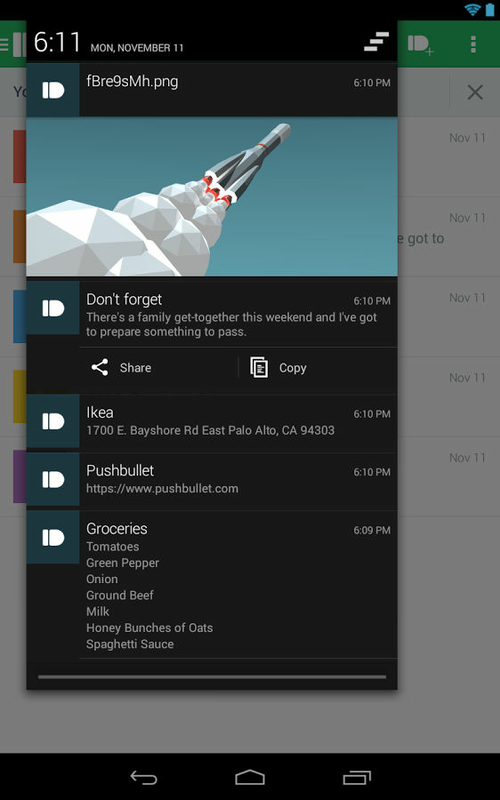 Not every notification is worth interrupting your workflow for, which is where Pushbullet comes in. Its advanced notification mirroring system literally ‘pushes’ alerts for calls, messages, emails, app updates and all the rest to your desktop via an extension for the Chrome browser. That way, you can decide whether it’s worth reaching for your phone at that moment. Here’s a step-by-step guide on how to set it up. 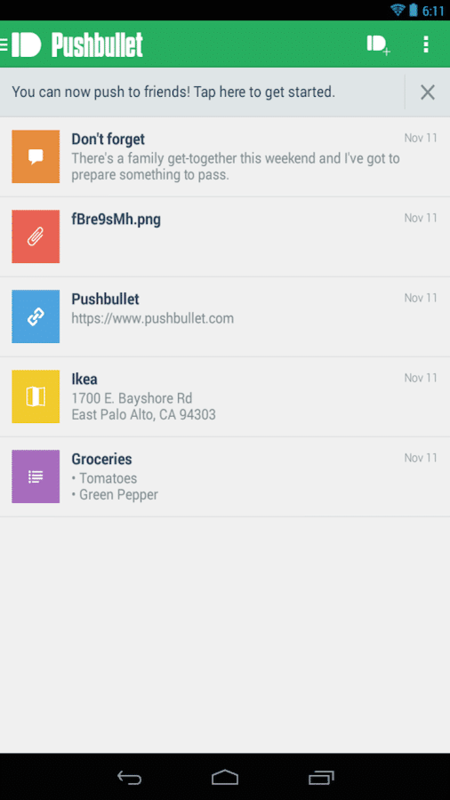 Pushbullet has another nifty feature – the ability to share links, photos, notes, files and more between your devices and even your friend’s devices, saving you the pain of sending an email. So there you have it, our list of Android apps we’ve come to depend on. Do you have any favourites we haven’t mentioned? Let us know in the comments.